Strengthening and Smoothing properties. Fights hair-fall and adds body and shine to existing hair. Packed with Tea tree essential oil, a natural antiseptic and antifungal agent, cleansing the hair and exfoliating the scalp to maintain perfect environment for healthy growth. Carrying antistatic properties, Soy and Almond proteins repair distressed hair, providing advanced strengthening and lessening chance of breakage. Detangles hair. Moroccan Argan oil helps retain lost moisture and give hair a manageable & fresh look that nourishes skin and hair making it less dry or damaged. Incorporating Himalayan Purified Spring Water, and Shae butter, this emulsifying volume boosting formula restores shine & vitality, gently removing residues and help protect color-treated hair. Antioxidant with delicious scent, Rosemary extract removes potentially damaging oxidizing agents from our skin and hair. Whether you need to remove build-up, eliminate dandruff, or correct any hair issues, this luxurious everyday shampoo for all hair types & its unique blend of natural conditioning botanicals, may work miracles for you. 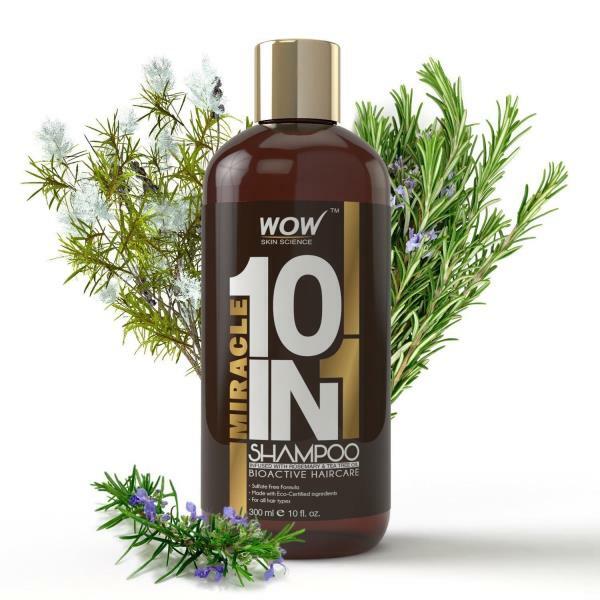 For Enhanced Effect & Great Results: Pair with WOW Coconut Avocado Conditioner available here on Ebay.